Things couldn’t have been better for the first match of the 2014 season. The morning started out chilly as you can tell from the clothing worn in the morning pictures. It was warmed nicely to around 58 with partly cloudy skies by noon for awesome shooting conditions. A few attendees commented that the best part of the early year matches is that there were no mosquitoes. Ninety-one people showed up to shoot the eight stage, 208 round count match; representing every class and division in USPSA. Being in the south east corner of Michigan and having matches on the fourth Sunday makes it easy for shooters from Canada, Ohio, and Indiana to join the fun. Approximately 19,000 rounds were fired during the six hour event; some faster than others. Congratulations to the overall match winner Mike D who was shooting Limited division. Mike beat the Open division winner James W by a mere 0.3%. Excellent shooting from both and the other division winners: Geoffrey S in Limited 10, Russell M in Production, Dennis T in Revolver, and Ryan S in Single Stack. Ryan had extra competition as some that normally shoot limited or production were preparing for the single stack nationals next weekend. 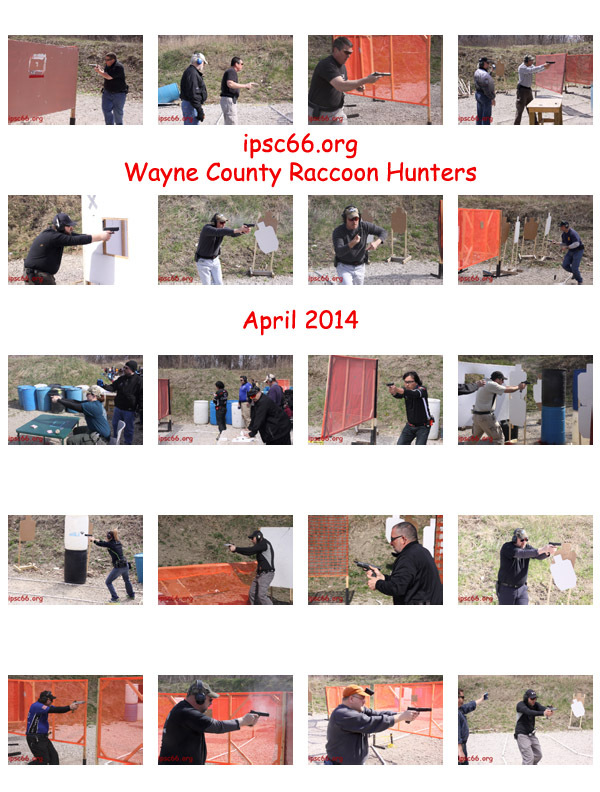 Full match results and stage scores at USPSA.